Looking to make the most of your work area with a stylish, compact laser printer? 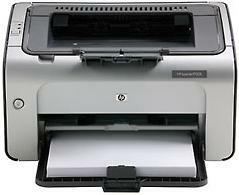 Our LaserJet P1006 Printer offers high-end output in an affordable, personal design. It's excellent for printing everything from envelopes and labels to spreadsheets, reports, and invoices.